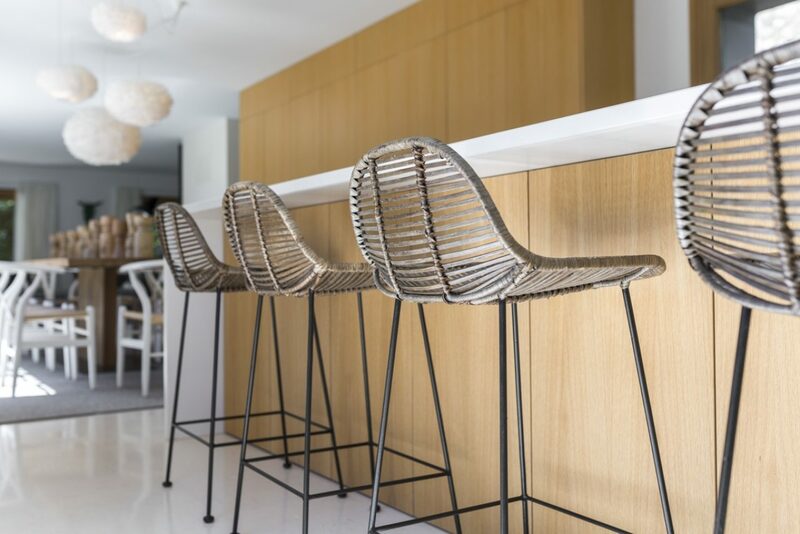 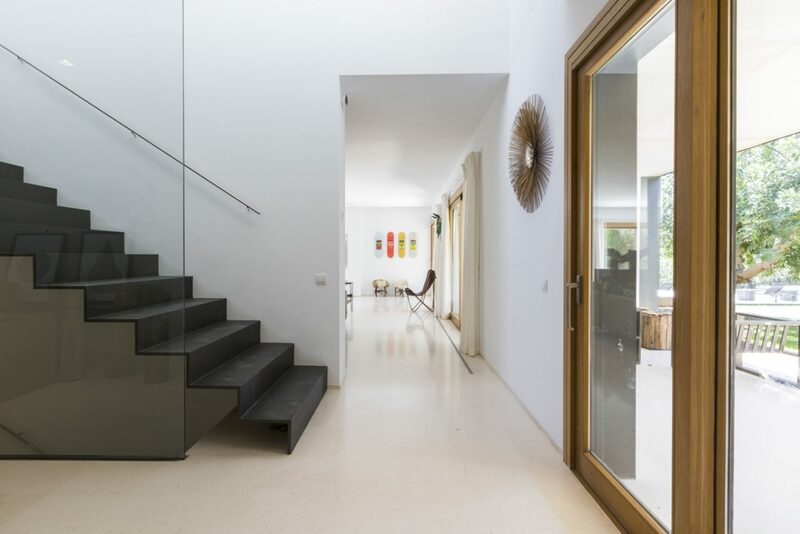 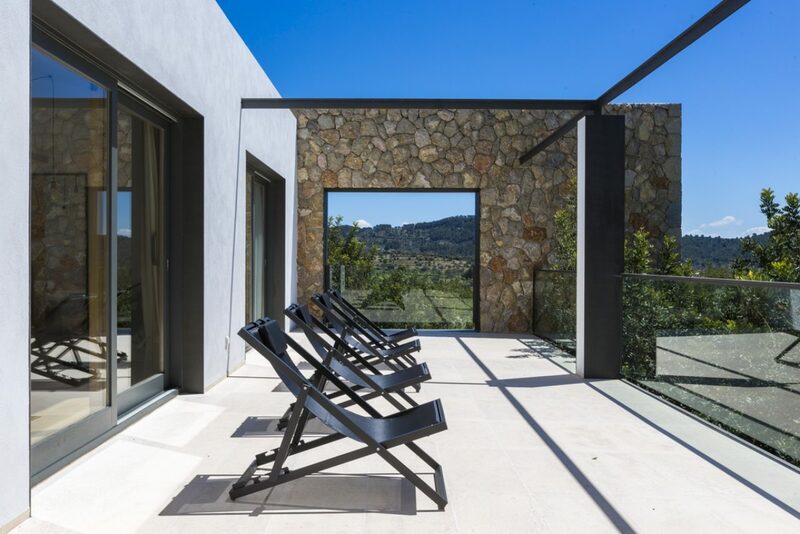 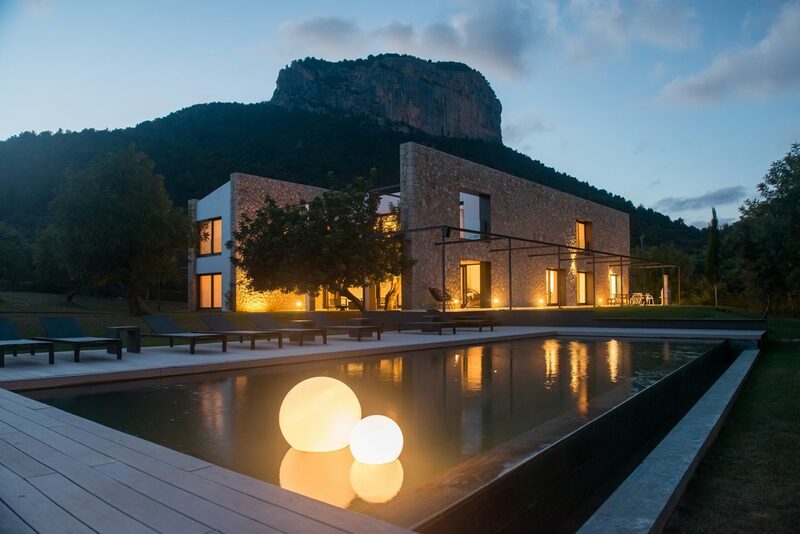 The five star villa has a contemporary style designed by award-winning architects Luis and Jaime Garcia-Ruiz Guasp with sophisticated furnishings that have been exclusively designed. 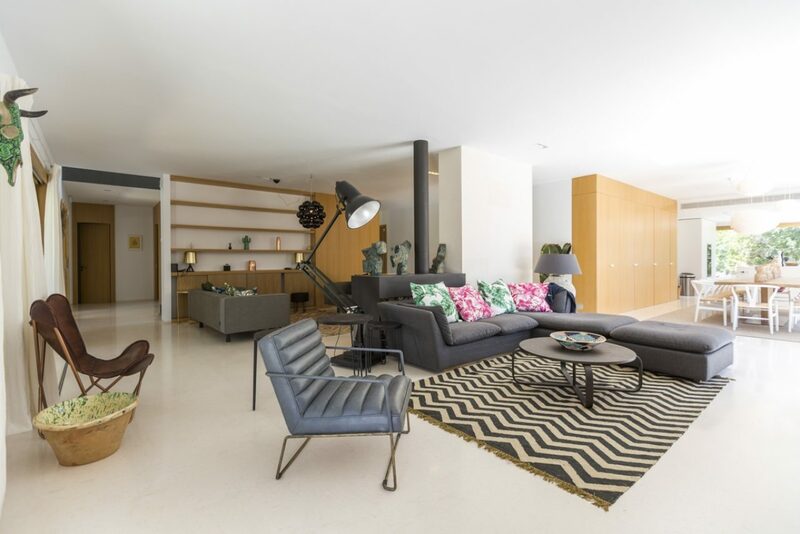 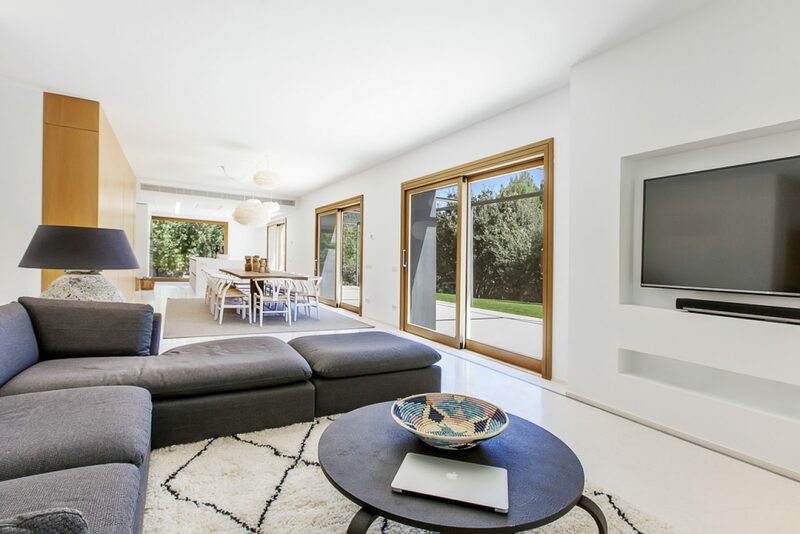 The two luxury living areas and large modern kitchen boast a mix of calming natural colours, sumptuous sofas, stunning central fireplace and state-of-the-art appliances. 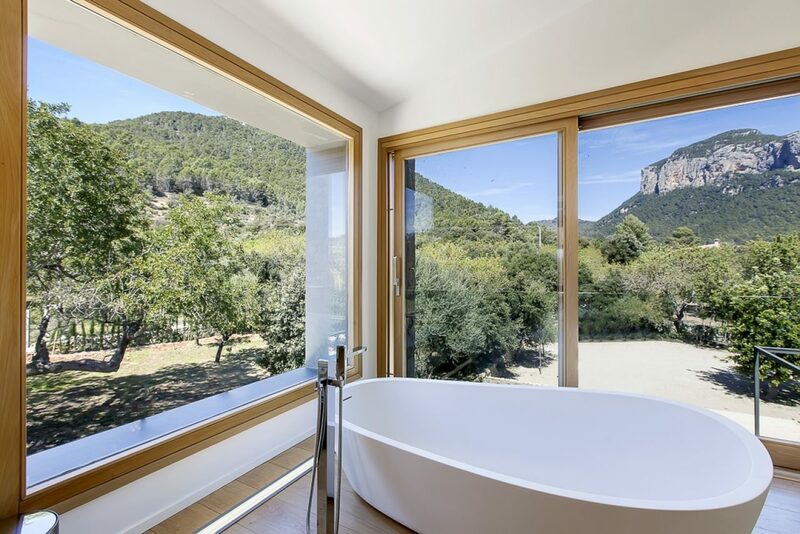 Elegant marble surfaces glisten throughout while large flawless windows offer far-reaching views towards the lush mountains. 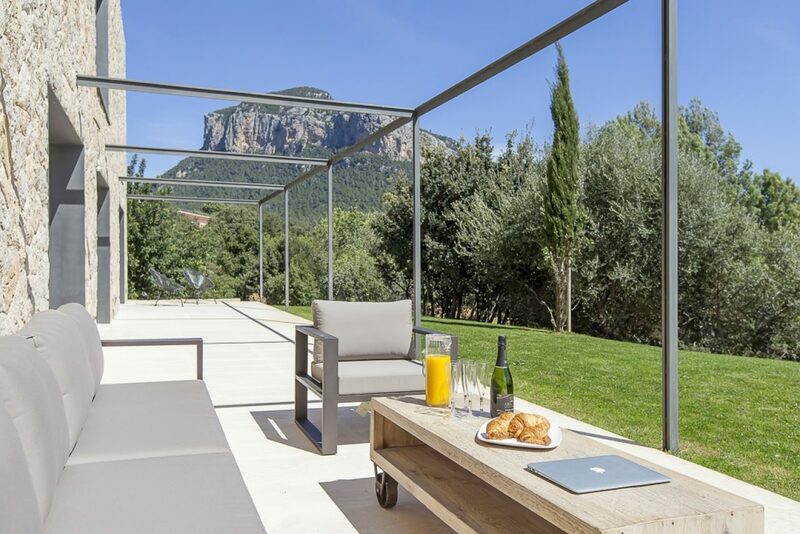 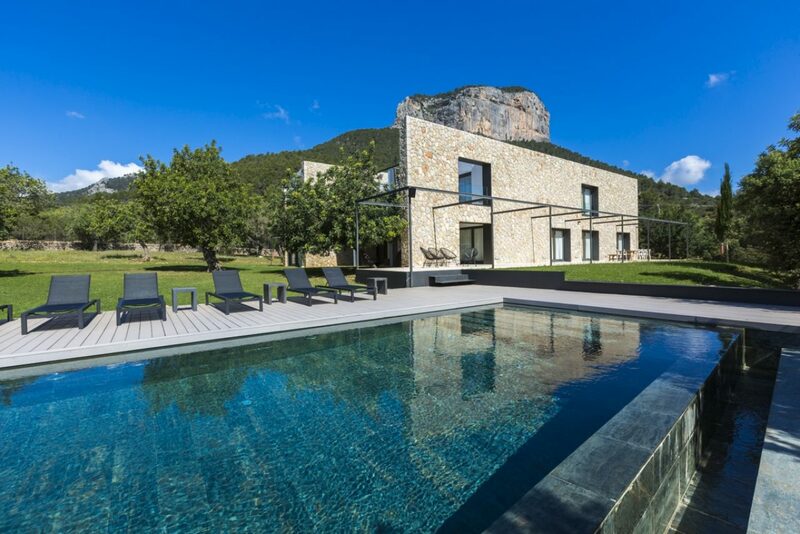 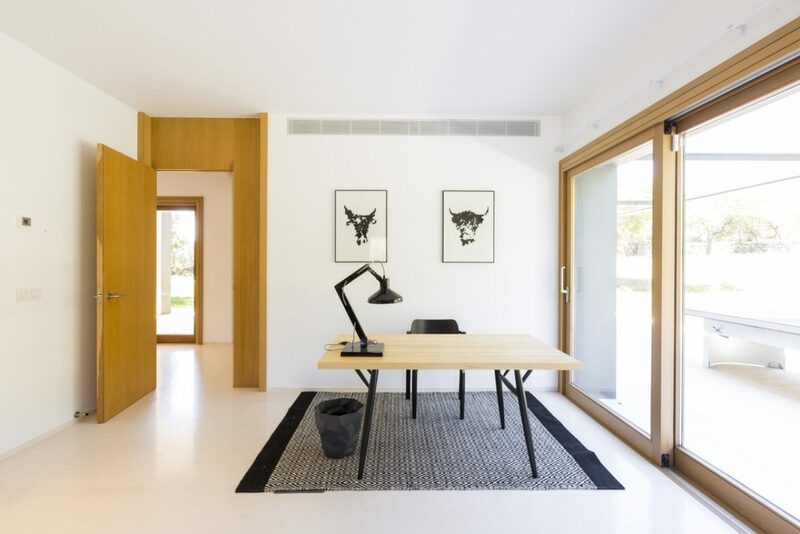 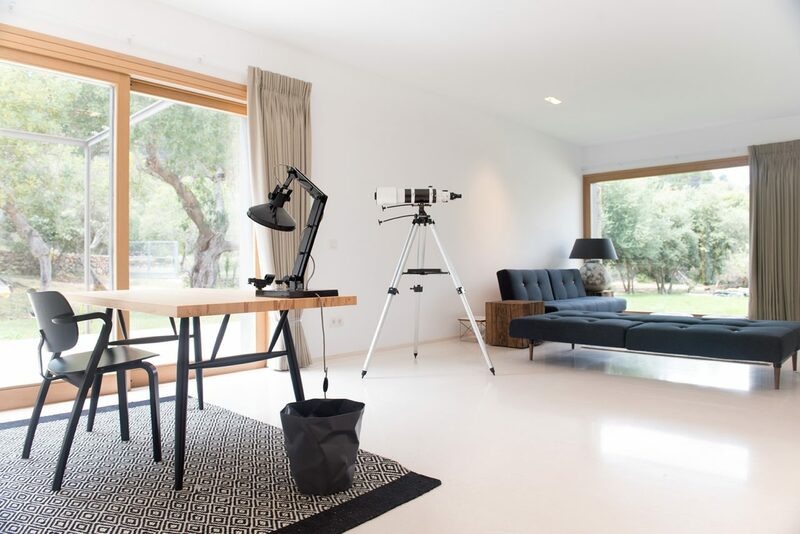 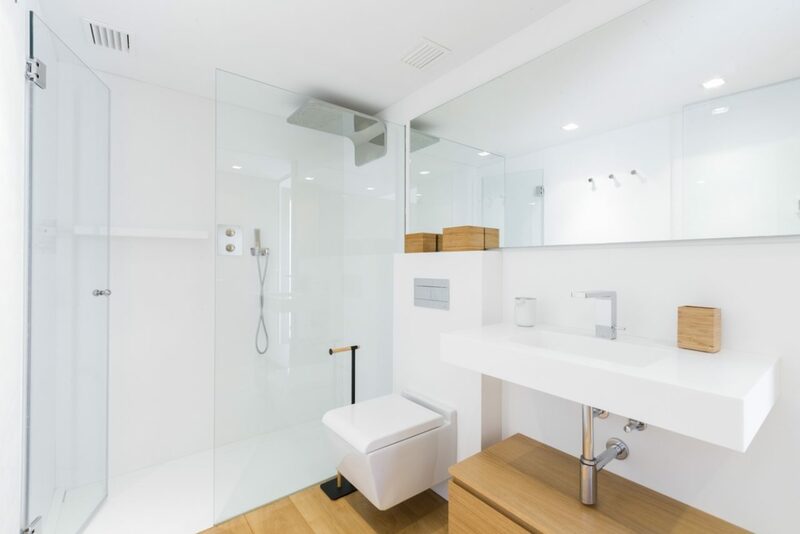 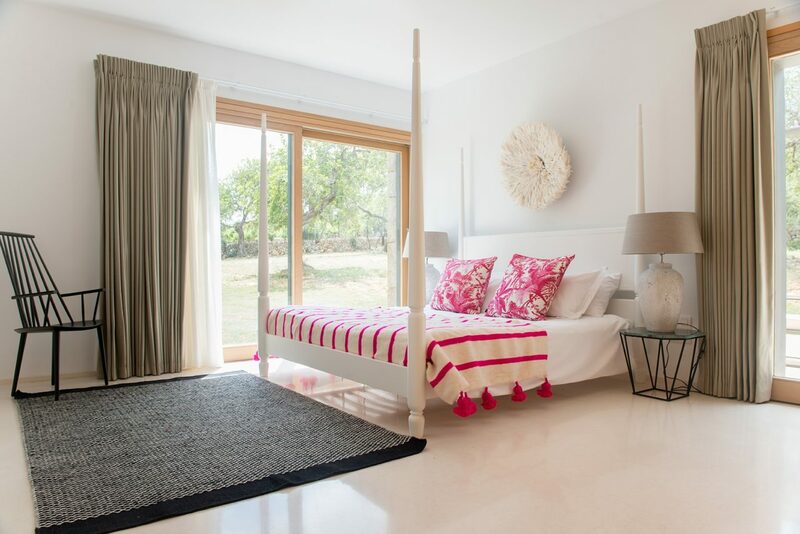 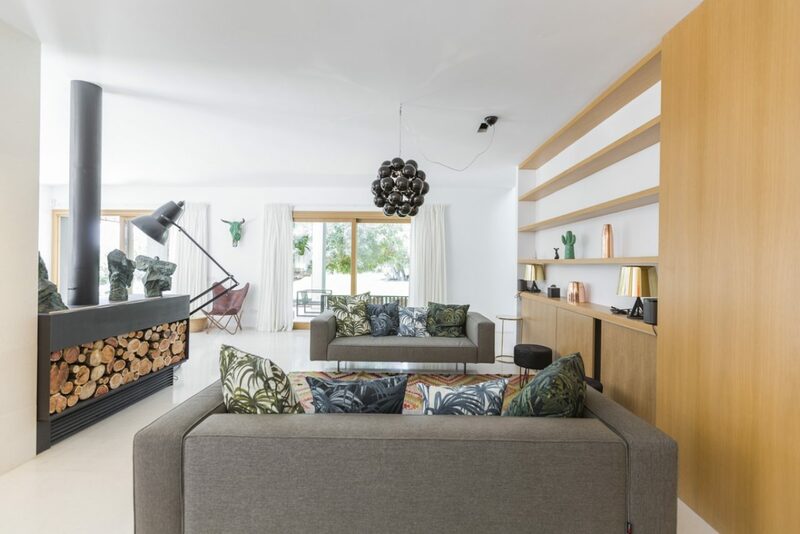 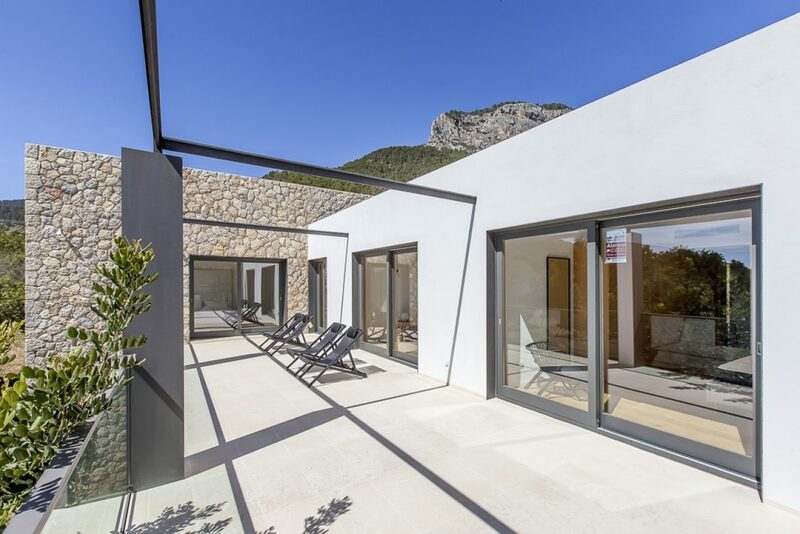 It has been completed with an exclusive interior design, which aims to combine modern Majorcan, Scandinavian and the best of British design with unique pieces by designers including Philippe Starck, Artek, Vita, Men-u by Norman Mailer, amongst others. 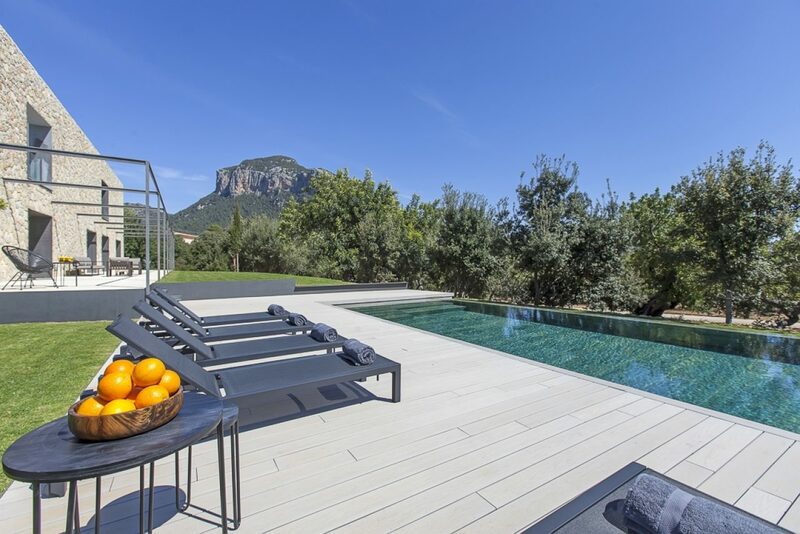 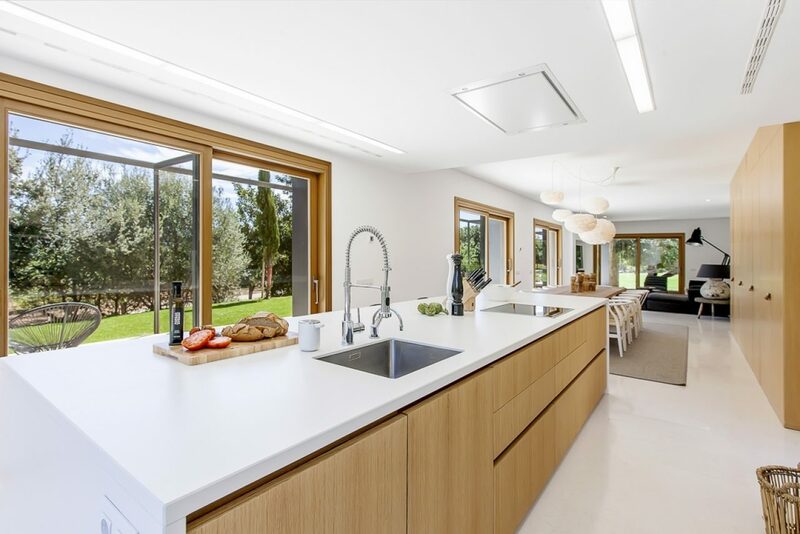 Additional features are: high quality finishings, under-floor heating, air-conditioning all ecologically powered, extensive gardens, pool surrounded by a wooden deck, and stunning views from every corner of the house. 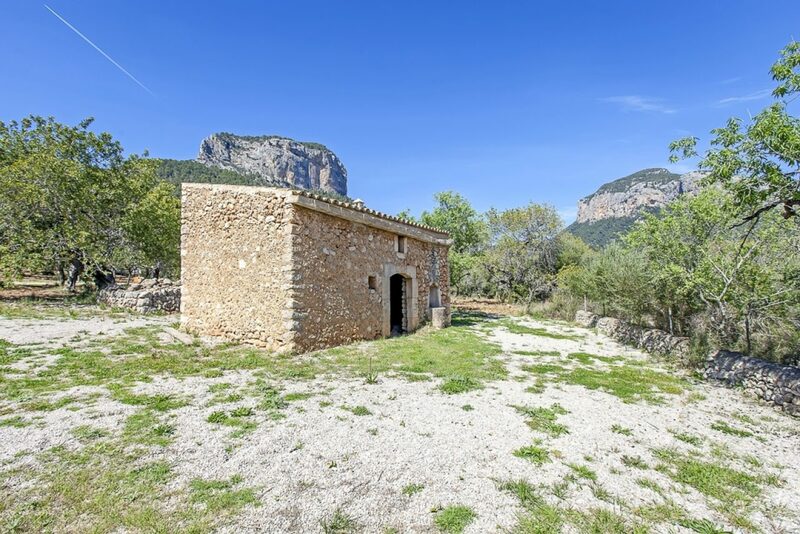 There is 35m2 old casita that could be converted into gym or staff quarters.